A photograph of the historical plaque honouring W.H. 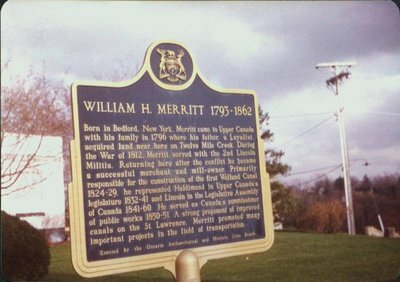 Merritt, Corner of St. Paul Street West and McGuire Street, St. Catharines, Ontario. November 28, 1979.